Entrance to Karnak along the Avenue of the Sphinxes (which runs all the way from Luxor). Karnak is Egypt’s greatest temple complex and is considered the most important Pharaonic site after the Pyramids of Giza. It was also the most important place of worship in Egypt from approximately 1500 – 1000 BC. 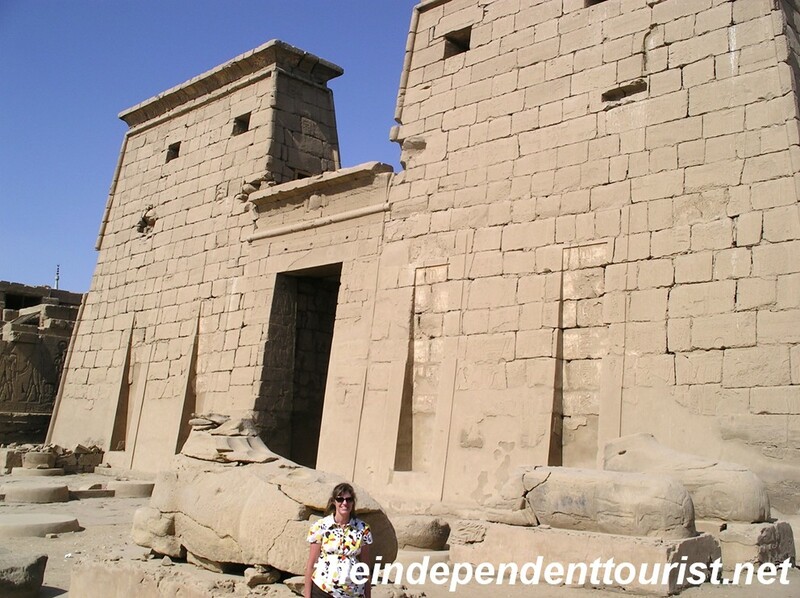 It was called “Ipet-Isut” meaning “The Most Perfect of Places.” Karnak was built over a period of about 1,300 years, starting around 2125 BC. 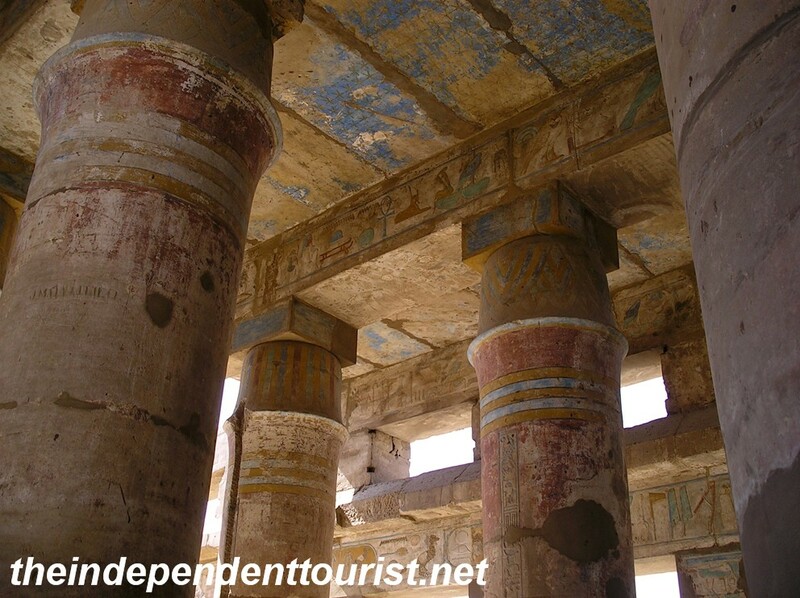 Remants of the original paintings in the Great Festival Hall of Tuthmosis III. During the reign of Ramses III, 80,000 people worked at or on the complex as laborers, servants, guards, priests and many other functions. 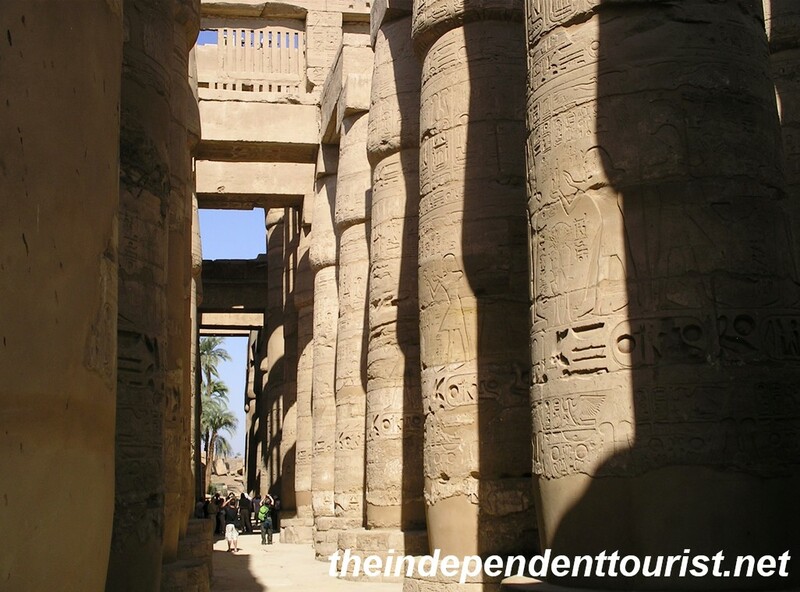 The huge Hypostyle Hall at Karnak. Note the size of the people in the distance – Karnak Temple is on a huge scale. Karnak’s Sacred Lake, where priests purified themselves. Temple of Ramses III at Karnak. The scale of the site (about a square kilometer) is massive and there’s a lot to explore here. Be sure to take the time to go to some of the outer ruins. 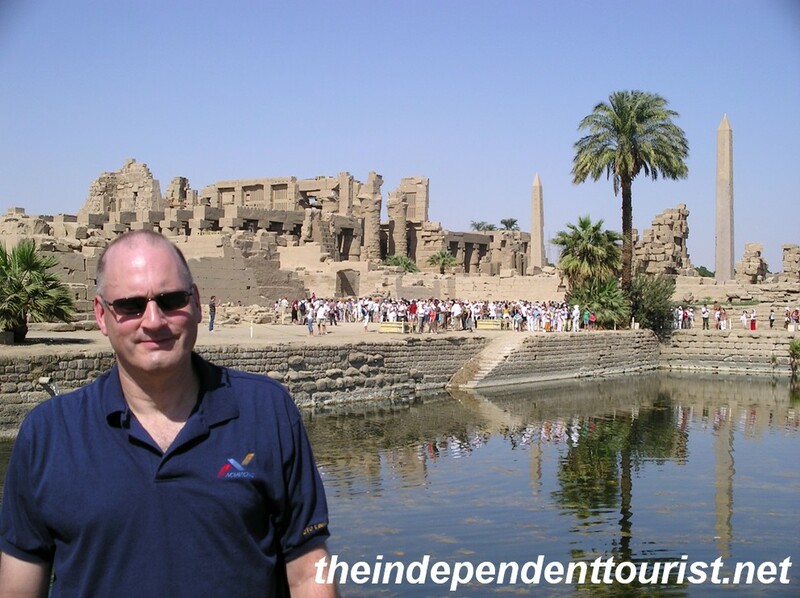 Karnak is just 2 kilometers north of Luxor (see my post on Luxor here), also on the east bank of the Nile. 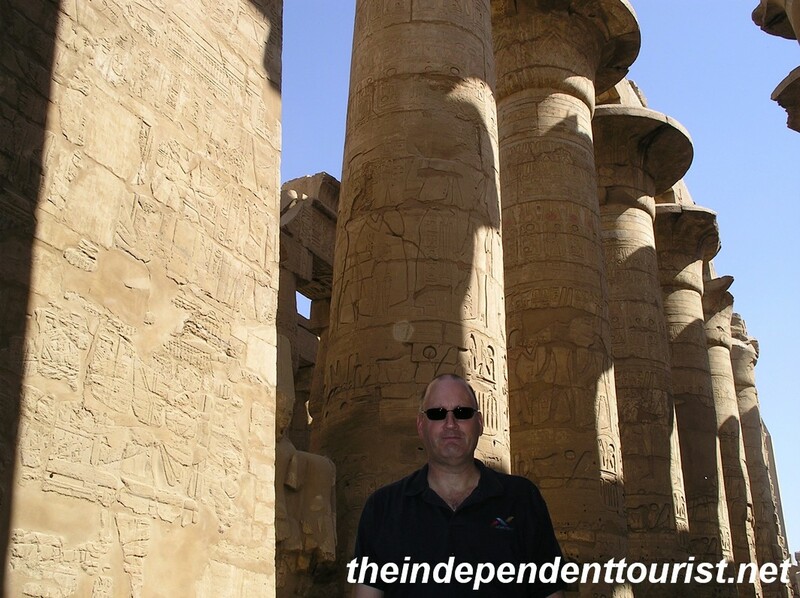 Both Luxor and Karnak can be visited in one day. 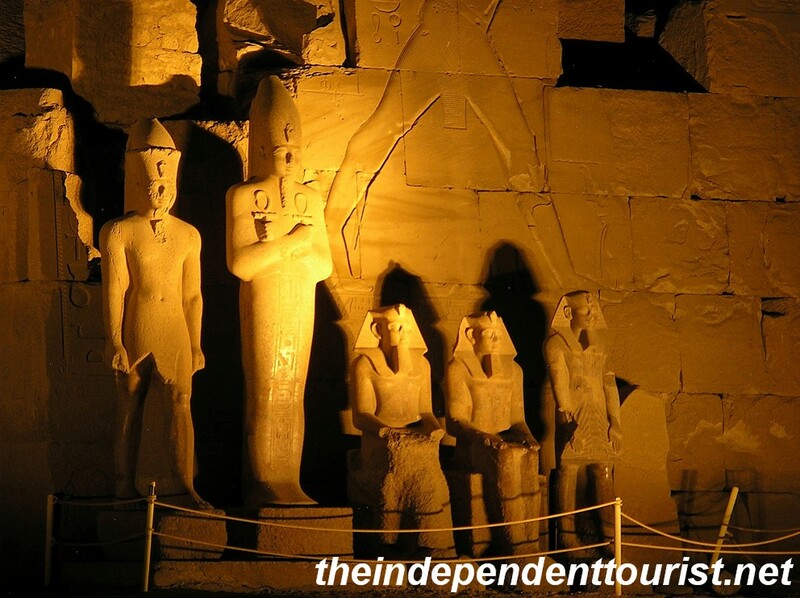 Statues of Karnak at night. There is an evening sound and light show that was quite good. The show included walking through the massive complex at night, which was a blast and gave the place an entirely different feeling. 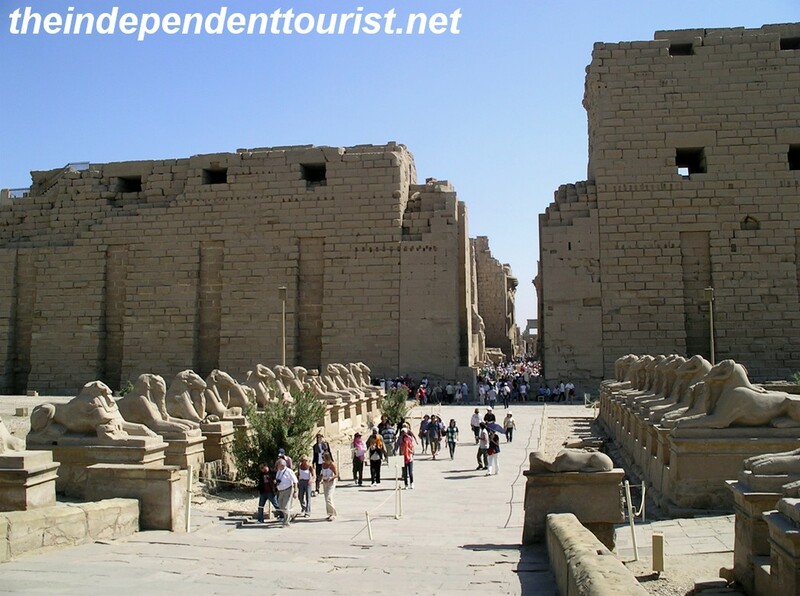 Sources: Information at Karnak Temple, DK Eyewitness Travel Egypt, Lonely Planet Egypt. 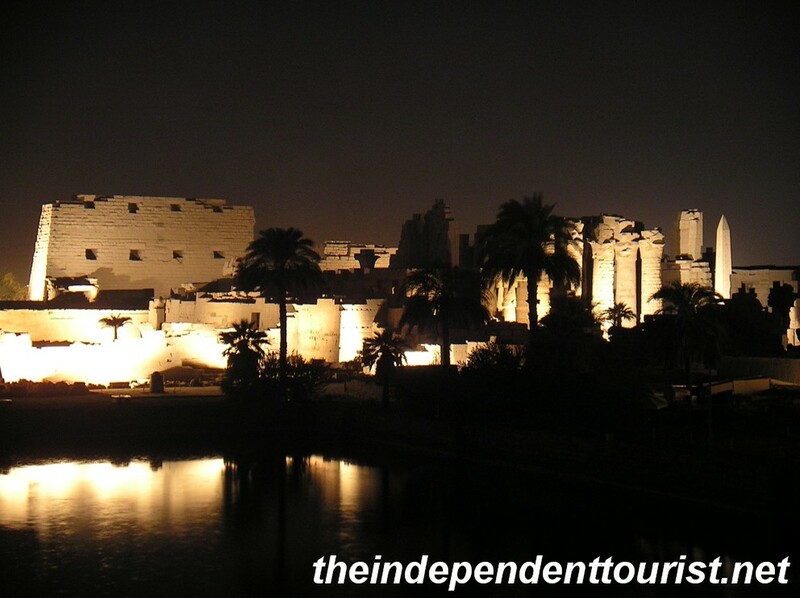 Overlooking the Karnak Temple Complex and Sacred Lake at night.